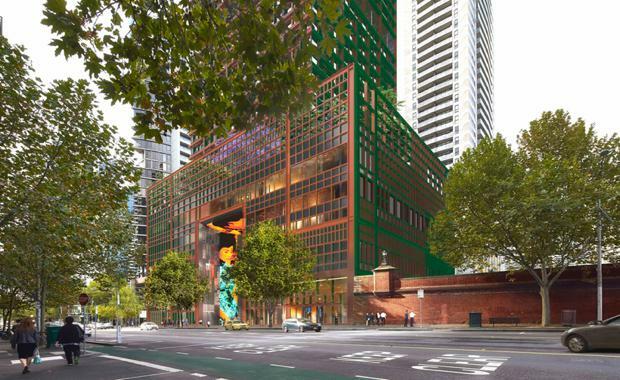 The Victorian Government has given the nod of approval for a 70-storey hotel and apartment building designed by Jean Nouvel and Architectus. Minister for Planning Richard Wynne said the development was approved with people in mind, taking into consideration future residents, CBD workers, visitors to the city and the thousands of people who walk through the streets and laneways every day. "This is a truly creative project but also delivers much-needed hotel rooms for the city and has a good mix of one, two and three-bedroom apartments. "It is not about limiting size, it is about encouraging quality," he said. The OVGA’s assessment noted the proposal is a high quality architectural response, including differing facade characters for each orientation - "far from a standard glass box" .